Cell signalling in eukaryotes requires mechanisms more complex than in prokaryotes, because the genome is segregated within the nucleus. 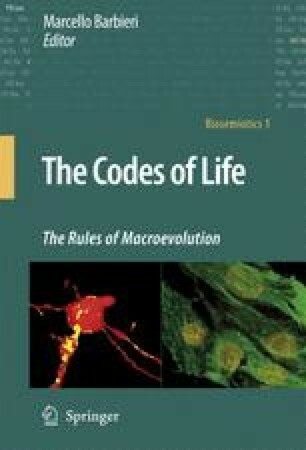 This is not merely due to the physical gap between the receptor and the genome, owing to the presence of the nuclear envelope, but because of the major complexity of the transcriptional and translational mechanisms in eukaryotes. This chapter reviews the main evidence of a multiple localization of the inositol lipid signalling system in the cell, i.e. plasma membrane, cytoskeleton, and nucleus. This results in a variety of functions, which depend on the intracellular localization (contestual modulation). In the nucleus, the elements of the inositol lipid signalling system are located at nuclear domains involved in pre-mRNA processing and in the modulation of the chromatin arrangement. The nuclear signalling system presents the characteristics of an organic code; furthermore, it does not represent a redundancy of the system located at the plasma membrane, but the result of an evolutionary process.